6th Volunteer Orientation Coming Up! Our 6th Volunteer Orientation session is just around the corner. Register Now! Volunteers of Pakistan Quiz Competition Winner Announced! 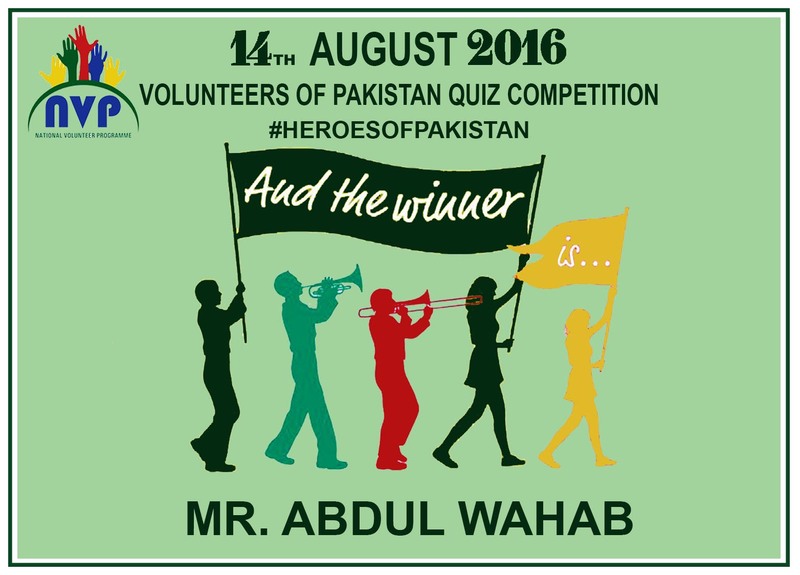 The winner of the NVP’s 14th August 2016 Volunteers of Pakistan Quiz Competition is Abdul Wahab! Congratulations! A special mention to Kelton High for his sincere efforts! Thank you for participating! 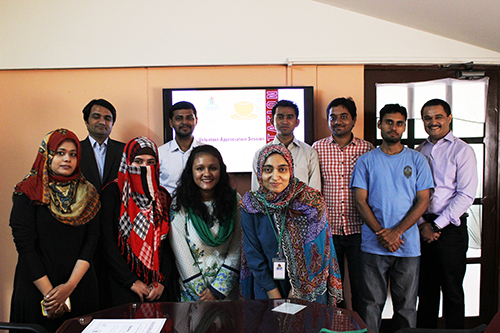 Greetings from the National Volunteer Programme! Independence Day is about paying tribute to those who have helped us gain independence and those personalities which continue to dream about having a prosperous Pakistan. 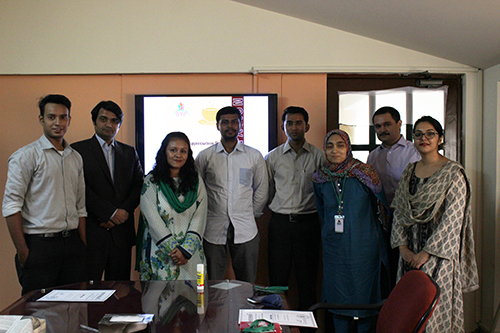 The National Volunteer Programme celebrates its first Independence Day as Pakistan turns 69 years old. When this nation began, our forefather recognized the importance of being a community, Quaid e Azam’s in an address to the country on Eid ul Azha in 1948 speaks of mobilizing resources “”in a systemic and organized way”- this refers to working to benefit our communities and country. This year we plan to recognize the true heroes of Pakistan. These are people who not only deserve recognition and respect for their contribution in the development of Pakistan but also serve as an inspiration to all of us. The concept of giving back to the community transcends all religions. Compassion in action – can be described in Allama Iqbal’s poetry, where his most famous words reflect the essence of volunteerism “Hain Log Wohi Jahan Mein Ache, Aate Hain Jo Kaam Dusron Ke”(translated to be It is only the people who help others in this world – who are good). Thus we have started our tribute with Allama Iqbal. We will go on to recognize our unsung heroes as well as remembering the heroes we all have come to know during their work. We also have a surprise for you on the 14th of August on our Facebook page! Keep logged on to our Facebook page https://www.facebook.com/nvppakistan/ during the month of August! First of all, we’d like to extend a warm welcome and ‘thank you’ to you all for volunteering with us. We are super excited to have you all on board with us! It is with great pleasure that we present to you the first two issues of NVP Newsletter! The aim of these monthly newsletters is to bring to you all the latest news, events and content regarding NVP. In the meantime, we’d love to hear from you about why you’ve subscribed to our list, how has your experience been with us so far, what aspect of NVP & volunteering you’re interested in learning about and your thoughts regarding our first issue. If you have volunteered before, we would love to know more about your experience. So long as you reply to us, we promise we will too! 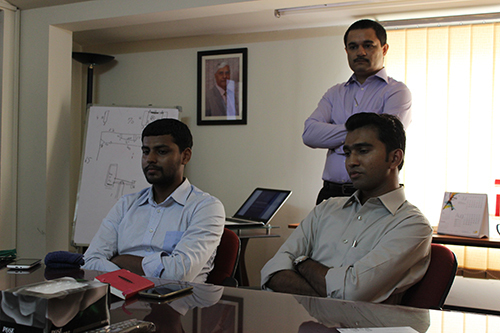 If you need anything else, please feel free to get back to us at ‘info@nvp.com.pk’. Since we have quiet a lot to share, please follow the links below, sit back, relax and enjoy the read! Your comments, suggestions and contributions are most welcome. 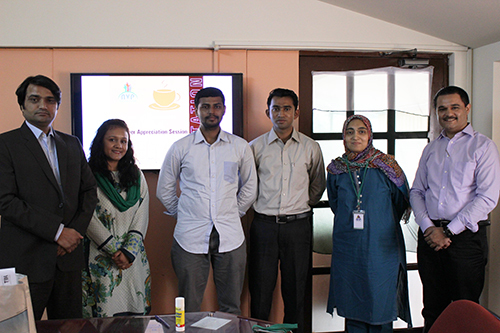 1st Volunteer Appreciation Session & 5th Volunteer Orientation! 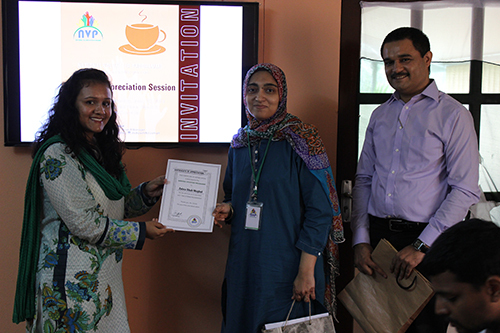 On Saturday, 23rd July 2016, we conducted a joint gathering of our first ever Volunteer Appreciation Session and the 5th NVP Volunteer Orientations. The main purpose of all our Orientations has been to introduce our new volunteers to the basic Code of Conduct required and expected of them as well as to discuss their potential placement within our respective registered Beneficiary Institutions (BI’s). However, this time we also wanted them to get the chance to meet and greet our previously successfully placed volunteers. 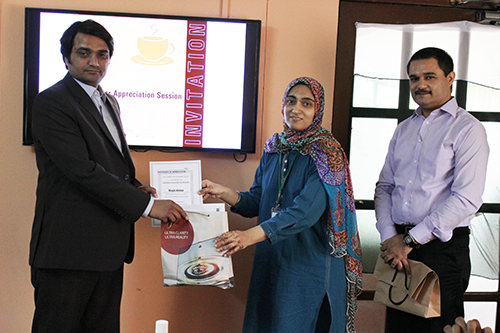 The volunteers invited to the Appreciation Session were those who had successfully completed the first term – which is around 8 weeks – of their volunteering services. 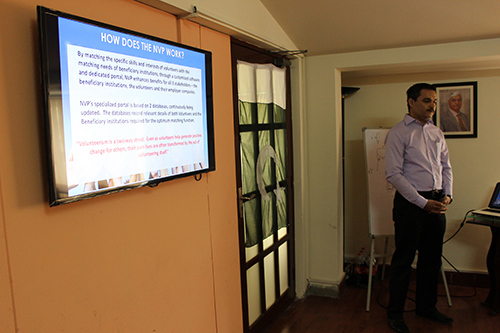 The basic layout of the session was as follows: we began with a short, engaging presentation which explained in detail the Volunteer Code of Conduct as well as their rights and obligations within the Beneficiary Institutions. 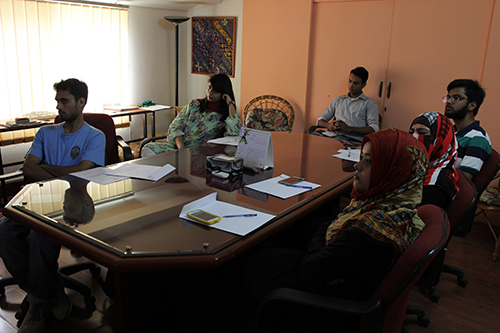 This was followed by a small activity where we invite our new volunteers to share their respective views and ideas regarding volunteering, its necessities and the acquired benefits. A one-on-one discussion comes after this, where we discuss and decide their individual placement within our registered BI’s. 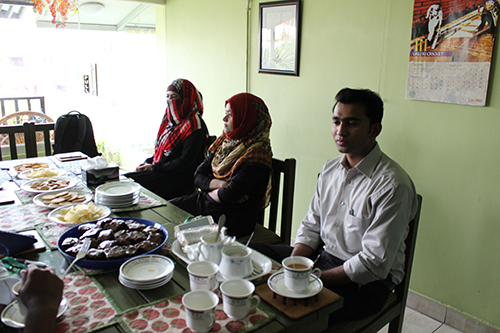 This was followed by a small tea break in which both the exisiting and new volunteers shared there experiences and expectations. It was an absolute joy to witness the passion and enthusiasm of our new volunteers and to listen to the motivating stories and experiences of our graduated volunteers! 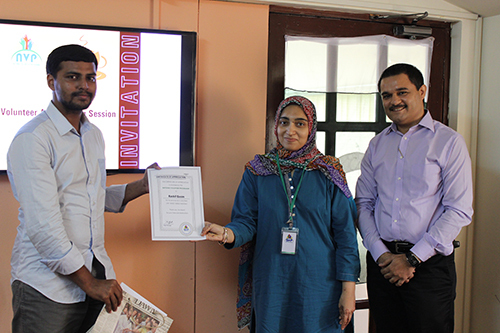 The certificate distribution ceremony came right after the tea break, which was followed by a photography session. This was an amazing experience for our entire team and it us first-hand knowledge about the commitment of our volunteers. We sincerely thank you all for you continuous support and passion. A special shout out to our first batch of graduated volunteers, all of whom have agreed to continue their volunteer services for another 8 week term. NVP salutes you for your passion and commitment! We would not be possible without your continuous interest and support! Keep up the good work guys! We will be posting the details of our upcoming programmes so stay tuned to our Portal, Facebook and LinkedIn page for further updates! In the meantime, keep spreading the word and keep volunteering!